The Trust has a number of publications on sale to raise funds for on-going restoration work. Companion - new for 2017! 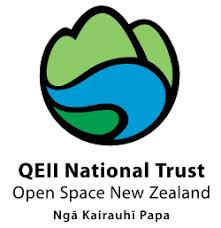 Otamahua / Quail Island's complex human history, especially that of the leper colony and the Antarctic expeditions, give the island international significance. One of our trustees, Lindsay Daniel, has spent the last three years researching deeper into the history of Otamahua, and has written a 160 page document to be read in conjunction with Peter Jackson’s history book. It is focused on the leper colony, the patients, and those who cared for them, and also reveals new information about other aspects of the human history of the island, such as the rumour of gold, the first importation of red deer, the military history, David Halliwell’s farming lease, and much more. The book is only available as an eBook. Sorry, we are unable to supply printed copies. When your payment is received we will e mail a link for you to download a single copy of the eBook. Find out more about Quail Island's diverse history - including tragedy that struck early settlers on the island, and its use as a quarantine station and New Zealand's only leper colony. The 102-page book has numerous black and white photos to bring the tales to life, and also tells about quarrying, shell grit mining, and the island's connection with expeditions to the South Pole... and it's more recent development as a recreational reserve. When your payment is received we will put the book in the post to you. This 130-page book by Colin Burrows and Hugh Wilson includes line drawings and some colour images of the indigenous plants to be found on Otamahua | Quail Island. It also details the ecorestoration milestones and achievements of the Trust.